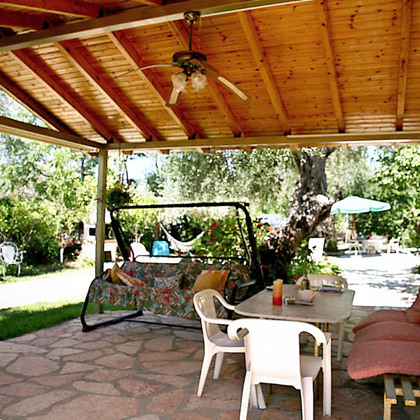 Rozalia Apartments & Studios in Sivota are situated just 20 metres from Mega Ammos beach. Just a few kms away from Sivota. Our complex is located within a twenty minutes drive from Igoumenitsa (the capital city of Thesprotia) and just opposite Corfu island. Sivota due to its location, has always been a cosmopolitan resort and one of the most popular destinations of Thesprotia. The beaches in Sivota are built beside a bay full of numerous small islands, the main village of Sivota has got a population of about 100 people during of the winter (off-season) months while in the summer more than 8.000 tourists visit Sivota and suburbs every year. Rozalia Apts in Sivota, just 20 meters for the beach, which is the "jewel of the Ionian Sea" is a bit more than 20km south of Igoumenitsa and is the second largest after that of Plataria creek south of the capital. Promises relaxing holidays, sound tourism and beaches into the incredible lush coves around the village and the three islets Mourtemenos (honorary pirate), Ayios Nikolaos and Mavro Oros. The first real forest in the middle of the ocean separated from the mainland by an atoll may be covered even on foot. The closest is the old mooring Gallikos Ormos next to the French port. Many signs are on the island of Bela Vraka Mourtos, Paradisos and Piou detached Megali Ammos, Zeri exotic swimming pool and the bay where it was filmed "Blue Lagoon". Beaches almost always small, well sheltered from the wind, almost always pebbles, water absolutely crystal clear turquoise waters and suffered low. A symphony of green, blue, light blue and white that also provides plenty of space at your children great satisfaction for the friends of the diver, with a lot of archaeological remains (a real underwater museum to be explored) and the underwater caves full of impressive life. 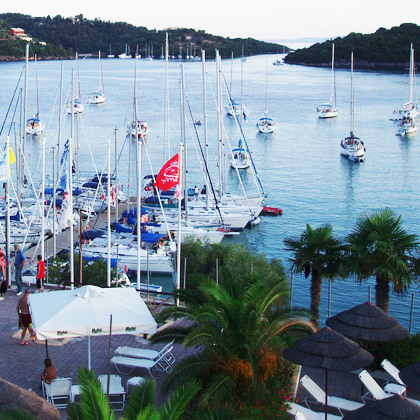 All these exotic things can be enjoyed by accomodating yourself in Rozalia Studios & Apts in Sivota. Our family runned hotel by the Zaimi family. 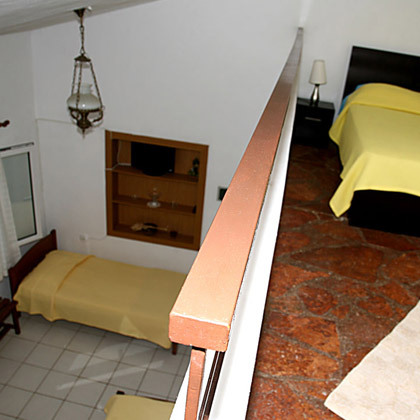 The studios are specially designed to provide comfort and relaxing moments to the visitor. 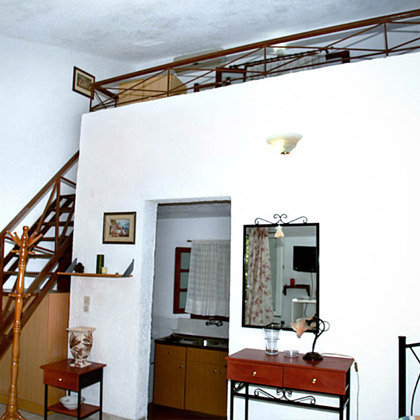 All rooms are air-conditioned with a TV, separated bathroom and kitchen. Surrounded by an olive garden, where barbeque (BBQ) parties can be organised in the evenings. The hosts, Zaimi family, are known for the warm, friendly and hospitable attitude which guarantees the most pleasant stay. You just cannot beat our location. The beach is accessible with just 30 seconds walking through our special passage. Enjoy the excellent view of the Ionean Sea from your balcony. Rozalia Studios is located just 20 meters from Mega Ammos beach, the most scenery beach in Sivota, popular as the beach with the green-blue waters.